Planting with kids is a lot of fun. Make your time planting an educational experience for your child and make it fun! Some of my favorite memories as a kid were in the garden with my grandmas. I learned a lot in the garden. Simple and practical things. Dedication, commitment, patients, and hard work to name a few. There’s no better character building than pulling weeds on a hot day and the reward of sitting under the back patio with a glass full of fresh lemonade and looking back at your hard work. And there is absolutely nothing better than dragging a little red wagon back to the house full of produce. 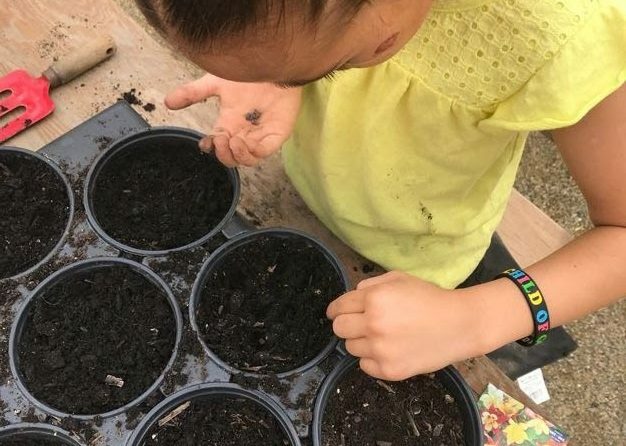 I’ve always thought that having kids understand what they are doing and why helps what they are learning stick with them longer than if they were to just throw some seeds in the ground and walk away. You also want them to know about the crop they are planting. There are so many resources out there for you to use. I love referencing and printing off informational pages from Farmers Almanac. Everything under the sun is on their website. However, I wrote up a simple way to get your gardening planting started. What season we are in? What kinds of fruits or vegetables are grown during this season? What are your favorite things to eat during this season? What are two new crops you would like to grow and try? Encourage them to try new foods. Make a list of what they want to grow and then purchase your seeds. Check out The Jeremiah Garden’s 2018 Planting Calendar (Fall dates will be coming soon) to make sure you are planting them in the correct season. Look up how to companion plant. I have a chart Here. Find plants that help the crops you picked out to plant. For example: If they chose carrots, you can plant lettuce, chives, sage, etc. next to it. Just like we have friends, plants do too. There are even plants that can hinder the growth of crops if they are next to each other. For example, carrots do NOT like Dill. Plant them far apart. The chart will tell you these things. Use the Planting Guide to help per-organize your plan. This makes it easy for kids. They just follow the chart that they created. Use the information on the back of your seed packets to fill it out. You can also use these Grids. 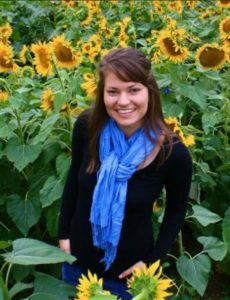 Hailey runs the Horticulture Program at Crown Valley Youth Ranch, and is also the Kids & Families Coordinator. She has a degree in Social Work and a minor in Biblical Studies. Around these parts, shes known as "Drumsticks".